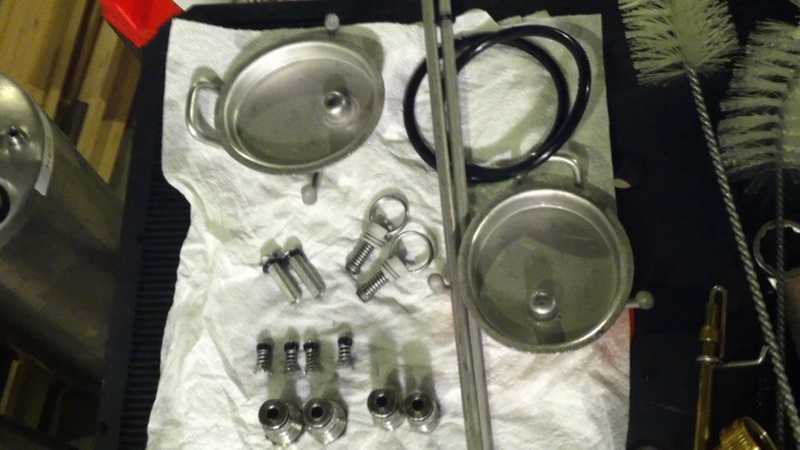 This is how I clean the two kegs I use for my homebrew kegerator. Since soda kegs are made of stainless steel, I prefer to use OxiClean for cleaning and a sanitary gel lubricant on all the rubber seals. I begin by taking everything apart, giving it all a good rinse with hot water, then cleaning it all with OxiClean. Then, lubricating all the rubber seals with the sanitary lubricant. Even the smallest pieces matter, so I make sure to really take everything apart that I can, and ensure all has been thoroughly cleaned, rinsed, and dried off. Since I’m dealing with stainless steel, I use a powdered OxiClean that works really well. The only other things I use are a few brushes and a bottle washer. It is also important to always use sanitary gel lubricant on all the rubber areas. It must be made for food product type items. 1:32 The first step is to release any gas that may still be in the keg. To help get a good seal on my lids, I always put a few washers on either side of the clamp to keep the seal tight. Now I just open them up, and start taking everything apart. Everything gets washed and rinsed. 2:28 Next I’ll do a rough rinse of everything with real hot water. 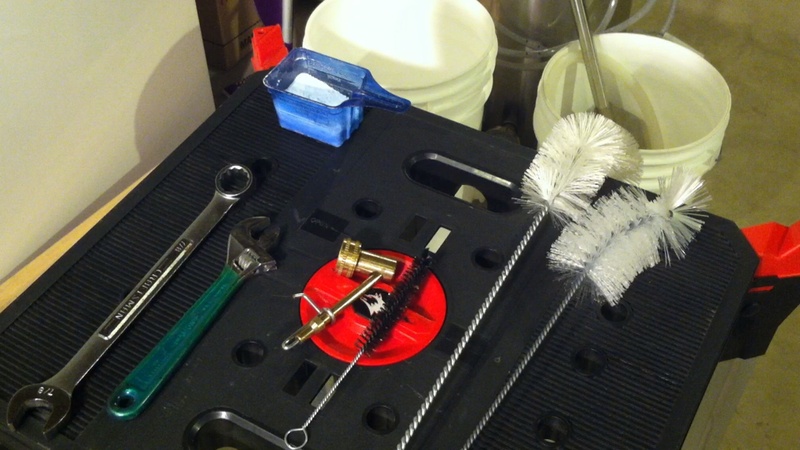 Then, add a bit of OxiClean to the inside each keg along with hot water. I’ll then seal them up and shake to make sure the inside is cleaned well. It’s okay if they leak a little bit, that is to be expected. 3:55 Now I will start taking everything apart, making sure all the pieces within pieces come out and get cleaned and lubricated as well. I’m not too concerned keeping the parts separate because they’re the same for each keg. After it has been taken apart, I use a brush to really scrub the inside of the keg, getting all the edges and all other cleanable surfaces. 5:50 The small stuff matters a lot as well so do not forget to clean them. The beer will touch everything included so make sure everything is cleaned. Get inside every crevice and scrub with either a brush or cloth. To clean the inside of my dip tube, I use a piece of video cable, RG59u, to clean the inside because it just fits perfectly. It rubs nice and tight so I can get all of the inside of the tube cleaned. 7:00 Now it’s time to rinse out the keg really good. The next steps will include sanitizing and lubrication, as well as assembly. 7:30 I have all my parts laid out to dry on a towel, make sure not to lose any! I will let them dry then being reassembly.